Like the title says. I want to upgrade my shait, and as Witcher 3 is uppon us, I am thinking about a Geforce GTX 770. Now to my question. Currently I have this mainboard. Anyone can tell me if a GTX 770 would work with that thing? I am mainly concerned about the bus type. My hardware expertise is super low nowadays, which makes me unsure about all that jazz. PCI-E is backwards compatible, so a newer card will work just fine in an older version slot. Theoretically it'd not get full performance, but the real world difference won't be something measurable outside benchmarks. That said, the GTX 770 is a superceded card and assuming you're getting one for around 300EUR as shown on that site you linked, it's a poor deal. For only slightly more you can get the significantly better GTX 970. For slightly less you can get the R9 290, also significantly faster. For a lot less you can get the similarly performing R9 280, which handily also has more VRAM. You didn't list what your CPU is, but there's a good chance it's going to be bottlenecking the higher end video cards. 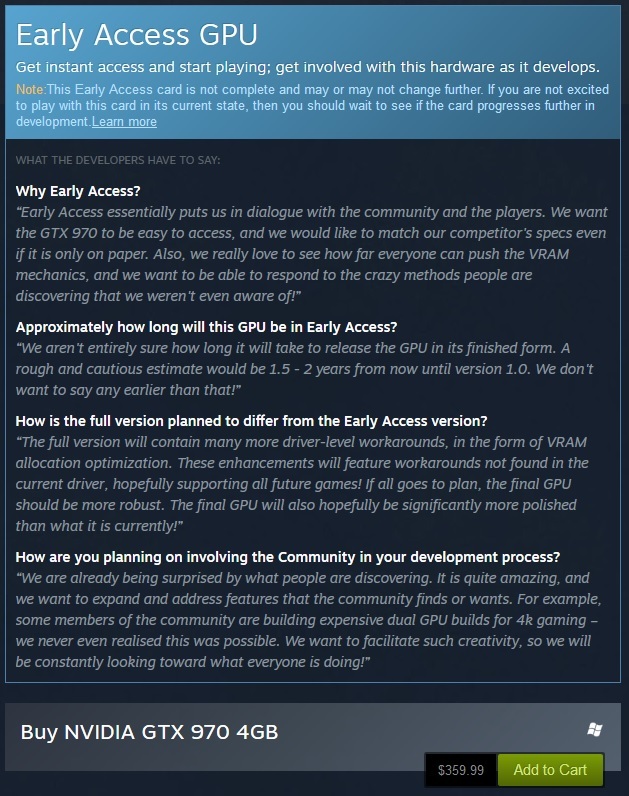 This is fine, you can move the card into a faster system in the future, but just be aware that you will be held back quite a bit in a lot of games by your old CPU. Some people might tell you to buy a cheaper card that matches up with the speed of your CPU, but it's somewhat flawed logic since upgrading is a thing. As Humanoid noted, theoretically it should work. A few AMD-based graphics card have been known to cause issues in PCI-Express 1.0 slots, but as my available PCs are lacking both nVidia cards of the 7 series, and a PCI-Express 1.0 slot, I cannot say from own experience whether the intended combination of PCI-Express 1.0 + GTX 770 is problematic as well. Regarding the performance potentially being held back by the CPU: That may be so - however, it is possible to increase the Image Quality settings until your graphics card becomes the bottleneck again So say you get 40 fps in game X with lowest details, but it is CPU bound - you can then continue to increase you graphics settings while you still get 40 fps. As soon as the fps start to drop, you're GPU bound again in the tested game and scene. Edited by samm, 06 February 2015 - 09:56 AM. I am currently running a "AMD Phenom II X4 945 4x3.00GHz AM3 Box". I think it's still pretty ok and I don't really want to spend money on a new one right now. A friend suggested me the GTX 970 as well, but I don't know if I feel like spending this much money on a graphic card right now. Meh. Especially because from the experience I made in the past 5 years... my graphic cards are dying after approx 2 years. /Edit: 200€ to 250€ sounds like a good price for me. As far as I can see, the 970 is at least 300€ to 350€. Edited by Lexx, 06 February 2015 - 10:10 AM. How much would you have to pay for the 770? Oh ok, didn't see your edit! As I've said above, I'd try the nVidias to avoid potential compatibility problems with PCI-Express. If it does not work, you can still send it back (as far as I remember, you can do that in Germany without giving reason during the first time after purchase). The 760G is no spring chicken, but it's not that old. It should be PCI-E 2.0, even if the Asus site doesn't explicitly state it. Wikipedia has PCI 2.0 listed as a feature of the chipset. And indeed the manual lists what the spec page does not. R9 290 clear winner at that price point. By now I am actually toying with the idea to increase the amount of money to spend... The Asus Strix GeForce GTX970 looks good to me, but damn. Do I really need that power & price? I mean, the next pc games console ports probably won't need the fattest hardware either. And if the last console generation is any indication, then it shouldn't for the next few years. Most important to me is that I can plug in at least 3 monitors (2 on my desktop, 1 tv in my livingroom) and ofc Witcher 3. Right now I'll have to switch one monitor on and off all the time, as my current graphic card only supports 2 monitors at once. With the GTX 970 you will have to live with "only" 3.5 GiB decently usable VRAM, the other partition of 512 MiB can only be read or written to instead of the first fast partition (supposedly reading one and writing to the other at the same time is possible). I would really think hard before spending maybe more money than intended for such a card, considering game publishers most likely optimize for cards with 2, 3, 4 or perhaps 6 GiB of VRAM, and not for some cripples with 3.5 GiB. Of course it is still pretty fast and value for money, and going for the nice 980 with fully usable 4 GiB VRAM is rather expensive. So If there is a nice affordable card with maybe 3 GiB it might still be an alternative to the 970. No idea how good Witcher 3 will run, though. I literally just read an article that said the new Radeon 300 series will debut Q2 2015. DirectX 12 looks pretty darn impressive. Exponential improvements over DX 11. Since your board is AM3+, you could consider spending the extra on a drop-in FX series CPU like the FX-8320E. Depends how soon you think you can hang on to that platform before relenting and going with a new Intel one though, it'd be kind of a stopgap because it's a dead end path. And yes, there was some controversy over the GTX 970's memory configuration, but it's still the best option in the price range. There may be circumstances in which the R9 290X would be preferable to it, but if buying right now the GTX 970 remains the overall better choice. That said, personally I'd go for the regular 290 and put the savings towards a better CPU, whether as a drop-in upgrade or as part of a total overhaul. Yeah, I did it now. Feck the additional 100e. I don't want to exchange it anytime soon anyway, plus, Asus has 3 years of varanty- if the card breaks, I'll send it in and let me get a new one. Next thing I would upgrade is the CPU again, but I don't see this happening anytime soon as well. For now it should be enough to fulfill my needs. Best part is, that I can now hook up up to 4 monitors. I love em multi monitors. Especially since I've placed a hdmi cable from my pc to my tv. It's just so damn useful. Oh, and I love w-lan too. If I could, I would hook up my toaster to my w-lan network as well. If everything works as intended, I should be able to stream my pc to my tablet as well. Right now it's already possible to stream music from my NAS to my tablet- most awesome. Great times we are living in. Edited by Lexx, 06 February 2015 - 11:47 PM.